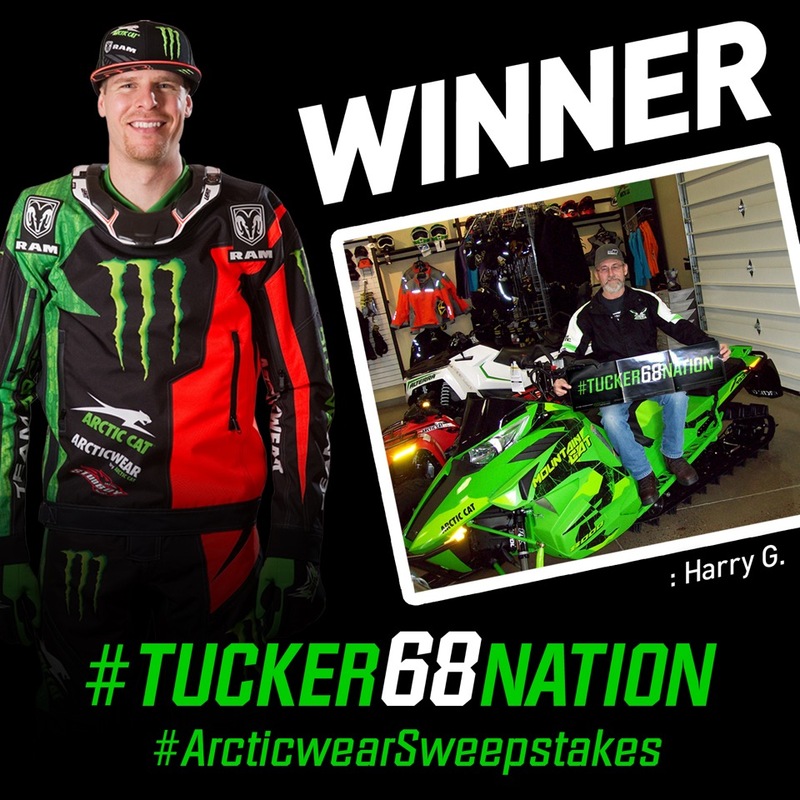 Congratulations to Harry G. on being selected as the winner of the #Tucker68Nation Arcticwear Sweepstakes! November 2015 through March 2016, fans posted photos on Facebook, Twitter and Instagram showcasing their #Tucker68Nation pride for a chance to win one of Tucker Hibbert’s 2016 Arcticwear race-worn, autographed race suits. Photos taken inside Arctic Cat dealerships earned bonus entries. Harry was one of many fans who couldn’t pass up the opportunity to increase his chance of winning this piece of history and submitted a photo taken at his local Arctic Cat dealership in Wisconsin. He’s a longtime Team Arctic and Team 68 fan so it was exciting to see his name randomly selected from all the entiries! Thank you to all the fans who participated in the #Tucker68Nation Arcticwear Sweepstakes. Click HERE to view all the photos entered!